There are lots of ways to pay for a home, 15 year mortgages, 30 year mortgages, fixed, ARMS, paying all cash. What is right for you? I answer listener questions in this episode about buying a house. When should you hire a financial planner? You don’t have to know everything about finance to take care of your own finances. You only have to know the parts that apply to you. The amount of knowledge you have to assemble in order to do your own financial planning and investing can be surprisingly minimal. But there are a lot of ways a financial planner can help you. We discuss these ways and when it would be smart to hire professional help with your finances in this episode. This episode is sponsored by Creighton University. Creighton University believes in equipping physicians for success in the exam room, the operating room, and the boardroom. If you want to sharpen your business acumen, deepen your leadership understanding, and earn your seat at the table, Creighton’s Executive Healthcare MBA is for you Specifically tailored to busy physicians, advanced clinicians, or working healthcare executives, our program blends the richness of on campus and the flexibility of online learning. Earn a Creighton University Executive MBA 18 months, 45 credit hours, and four, four-day on campus residencies. Learn in a deeply collaborative, peer to peer cohort, and elevate your expertise. Visit www.creighton.edu/CHEE to learn more. Let’s talk about How to Get Rich. First thing is to avoid getting poor. That means minimizing the cost of your education, making sure you match. Making sure you get through your training. That doctor income is going to fuel your wealth creation. Even if you end up with a great side gig or become a real estate mogul, the doctor income is going to kick that off. It’s the cash cow. So make sure you get it. In this episode we discuss the other steps to becoming rich as a doctor. Two readers are on this week's episode, a dentist and an attending physician. Both are in the process of taking control of their money and moving on from their financial advisors. I have no problem whatsoever with using an advisor, so long as the advisor charges a fair price for good advice. If the advisor charges too much, or gives bad advice (or both as is often the case), you should fire them. You can then either hire a good advisor, or become your own financial advisor. In this episode we discuss how to break up with your advisor and move on. A resident listener and a medical school listener come on the podcast today to have their financial questions answered. Interview with Dr. Peter Kim, founder of Curbside Real Estate, addressing physician-specific issues encountered during the home buying process. We talk about how to avoid the most common mistakes doctors make when buying a home and how Curbside can save you time, money and stress. This episode is sponsored by Curbside Real Estate, a free real estate concierge service for physicians. The home buying process can be extremely confusing and difficult, especially for younger physicians. It can be tough to decide whether to rent or buy, know what your loan options are, and ultimately figure out what lenders and real estate agents you should choose. After struggling through his first home purchase, Dr. Peter Kim founded Curbside Real Estate to address these physician-specific issues encountered during the home buying process. Curbside Real Estate is your physician-led “curbside consult” for physician home loans, expert real estate agents, relocation services, and everything in between. Whether you’re securing your first home loan, just beginning your search, or just not sure where to start, Curbside Real Estate can help you navigate the home buying process confidently and efficiently, saving you valuable time and money. Exclusive bonus for White Coat Investor readers: $100 bonus at closing. Contact Curbside Real Estate at hello@CurbsideRE.com or (650) 397-1728 for a no-commitment consultation. In this episode I interview Michelle Finkel. Dr. Finkel is a former Harvard Medical School faculty member with admissions experience and a board certified emergency physician. She started Insider Medical Admissions to use her experience and expertise to guide clients through the medical admissions process successfully through reviewing essays and conducting mock interviews. She has helped well over a thousand clients from the strongly competitive to the sink or swim candidate successfully gain access to medical school. If you are looking at medical school this episode is for you. This episode was sponsored by Integrity Wealth Solutions is a flat-fee financial planning and investment management firm focused on helping physicians, dentists, individuals and small business owners in a transparent and equitable manner. They adhere to low-cost, tax-efficient portfolios based on the client’s comprehensive financial planning goals. They have helped numerous White Coat Investors in all stages of life by developing customized holistic financial plans and investing strategy’s that evolve as the client’s needs grow. For more information on philosophy and services, visit their website at www.integrity-wealth.com. Lots of listener's voices on this episode. The speakpipe to record your questions is working well! I answer your colleagues questions about contributing to a Roth IRA for those married filing separately, taking out a 401(k) loan, funding HSAs, when it makes sense to file as an S Corp, exchanging an annuity, and more. This episode is sponsored by First Republic. You worked hard to get your degree...and you continue to work hard to pay off your student loan debt. Consider a refinance with First Republic Bank and start working on what matters most to you. First Republic can offer you fixed rates on your student loans that are among the lowest in the country, and could potentially save you thousands. First Republic is committed to helping you get out of student loan debt faster, so you can enjoy the benefits of your hard work sooner. Visit www.firstrepublic.com/whitecoatinvestor to learn more about First Republic’s low rates and extraordinary service. That’s www.firstrepublic.com/whitecoatinvestor First Republic Bank. Member FDIC and Equal Housing Lender. I'm often asked questions about investing in a surgery center but it is something that I have no experience with. So I brought on someone who does have experience as well as a doctor that is just at the beginning of the surgery center investment in his career to discuss this type of opportunity, the pros and cons, and what you should be looking for when given the opportunity to invest. This episode is sponsored by Alexis Gallati of Gallati Professional Services - Alexis is not your typical tax advisor. With over 15 years of experience, she has been helping physicians all over the country save money on their taxes. As the spouse of a busy physician, she understands the burden of high tax payments physicians incur during their lifetime. Not only will she create a high level strategic tax plan for you, guaranteeing money in your pocket, but Alexis will proactively work with you throughout the year to maintain your tax plan, prepare your annual tax returns, and represent you in case of an audit. The investment in her tax planning services is a fixed-price agreement and her tax maintenance packages are a flat monthly fee. If you’re tired of complex tax jargon and giving away most of your paycheck to the IRS, visit Alexis’ website at www.GallatiTax.com today to schedule your free initial consultation. Dr. Schofer is board certified in EM and currently serves in the U.S. Navy. Whenever I write anything inaccurate about being a military doctor he is gracious enough to set me straight. He has been a valuable resource to the WCI community and anyone who has ever thought about doing military medicine would do well to listen to this interview. There are a lot of unique aspects of practicing medicine in the military and we cover them in this episode. Over the years, I’ve invested across the entire spectrum of real estate investments, from owning and managing an individual property and its tenant to buying and holding a REIT index fund. This has included investments with half a dozen crowdfunding sites, some individual syndicated investments bought directly from the syndicator and private real estate funds. Over time, I’ve gravitated more and more toward the real estate funds. In this episode I discuss the reasons why. "As a young attending who has put into effect the many themes presented by the WCI, how would you recommend I go about helping my parents get into a better financial situation?" This is the main listener question I answer in this week's episode. Tread lightly if you are thinking about taking on the role of financial advisor to your parents. I explain many things you should think about before doing this. If you found this podcast useful visit our blog at http://whitecoatinvestor.com/ for more personal finance and investing information. Find an engaging and helpful community in our forum at http://whitecoatinvestor.com/forums/ This episode is sponsored by our friends at Zoe Financial. The most common misstep people make with their financial planning is not starting today. The second most common misstep is partnering with the wrong advisor. Zoefin-dot-com makes it easy to find a trustworthy and experienced advisor to help you reach your unique financial goals. As the premier network of independent fee-only advisors and planners, Zoe Financial rejects 95% of the advisors who interview to join their network, so you don’t have to waste time speaking with unqualified advisors and sales people. Your patients trust and depend on you everyday. Trust Zoe to connect you with an independent, fiduciary financial advisor you can depend on. Visit Zoefin.com/whitecoat to take their guided questionnaire and schedule your free call today. Your three favorite physician finance bloggers all in one podcast again! WCI, PIMD, and PoF answer listener questions in this episode ranging from who is the funniest and is curling a real sport? To backdoor Roth IRAs, investing in real estate vs index funds, and what are the most important financial topics to teach new physicians. Plus lots more questions. You will find it informative and entertaining. This episode is sponsored by another podcast. The Financial Residency podcast is dedicated to helping physicians become better financially equipped and more confident in making the right money decisions. The host, Ryan Inman, is a fee-only financial planner who is married to a US Navy pediatric pulmonologist. Ryan's firm, Physician Wealth Services, is a White Coat Investor recommended advisor. I recently went on his show to discuss the trade-offs between paying off medical school debt or choosing to invest. It’s a great resource to learn about the most popular finance question we seem to get on a regular basis; and, plus, it’s on an awesome show. So, go find Financial Residency in the same podcast player you listen to me in, download the show he and I did together, and use it as a guide to help you with your decision to pay down debt or invest. It is a tradition at The White Coat Investor to update the members of our community on the progress made in the last year. As usual, last year was our best year ever in nearly every respect. Thanks to all of you who have even the tiniest amount of responsibility for that. If you told even one person about the site or book or podcast, answered one question on the forum or Facebook group, or used the site to find a financial service provider you needed, THANK YOU. 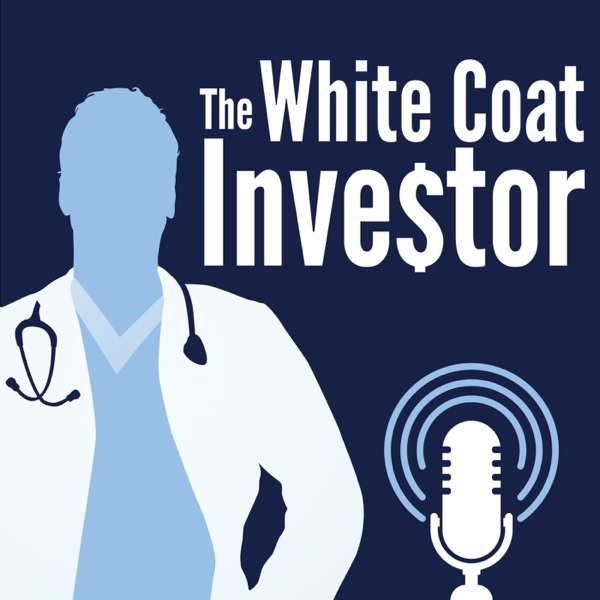 In this episode I talk about the state of the podcast in terms of the three missions of The White Coat Investor: Help those who wear the white coat (and other high-income professionals) get a “fair shake” on Wall Street Feed my entrepreneurial spirit Connect high-income professionals with the relatively few “good guys” in the financial services industry. This episode is brought to you by 37th Parallel Properties. As you know, I’m primarily an index mutual fund guy. But there’s a strong body of evidence supporting alternative investments – especially commercial multifamily real estate. Multifamily real estate can provide non-correlated equity growth and tax-advantaged income. For those reasons and many more, I hold multifamily real estate investments in my portfolio. I’ve invested with 37th Parallel Properties as has several members of the White Coat Investor community. With over $425M in profitable multifamily transactions, they’ve made the Inc. 5000 list of fastest growing companies the past three years running. I’ve been pleased with 37th Parallel’s results and transparent reporting and I also really like their commitment to educate their investors. You can learn more about them and get a very informative introduction to how commercial multifamily investing works via their special report Evidence Based Investing. Check out 37parallel.com/ebi. In this episode I speak with Crispy Doc, a financially independent emergency physician in his mid-40s, married with kids, living in coastal California. We discuss his mid-career burnout and how it was transformed by financial literacy. He learned to manage his investments. He saved aggressively using smart strategies tailored to high-income professionals. As financial independence came he found that instead of wanting out of medicine he became more satisfied in his career. This episode is sponsored by Set for Life Insurance. Set for Life Insurance was founded by President, Jamie K. Fleischner, CLU, ChFC, LUTCF in 1993 which she started while attending Washington University in St. Louis. They specialize in individual term life, disability and long term care insurance. They work on the client’s behalf to shop around to find the most suitable products at the most cost effective rate. Set for Life is first and foremost a client-centric company. They listen carefully to the needs of clients and shop around to find the best products available at the best rate. For more information, visit Set For Life Insurance. I’m often asked “where should I start with the podcasts.” I thought for our first podcast of 2019 that I’d lay out the WCI philosophy, so if someone asks “what podcast should I start with?” you can confidently say #87. In this episode I discuss the 12 Steps of the WCI philosophy. Listening to this episode will help people to understand the basics of personal finance and investing for high income earners. This episode is sponsored by Larry Keller. Larry is an independent insurance agent who works almost exclusively with physicians. He has been a member of the WCI community for years, writing guest posts, "overcontributing" to the scholarship fund, and participating in the comments sections, and has been a long-term advertiser on the site. He has been thoroughly vetted by me and hundreds of WCI readers who have used him to put their long-term disability and term life insurance in place. He can also help you review your insurance coverage or give you a second opinion on a policy you have been offered. I cannot recommend him any more highly for your needs. If you're in the market for disability or term life insurance, or think that maybe you should be, contact Larry at lkeller@physicianfinancialservices.com or by phone at 800-481-6447. A listener emailed me who is lucky enough to get a generous gift every year from their grandparents of $14,000 in stocks. The stock is all from a single company that her grandfather worked for decades ago. Because he bought it early in the companies history it's basis is $0, meaning that they are on the hook for capital gains tax for anything they sell it for. The stock does relatively well and pays out good dividends. However, they don't love the risk of owning so much in one stock. He wanted to know what I thought they should do. Is the risk of keeping the stock outweighed by the tax penalty of selling the stock? Is there a way to convert this stock to a safer index fund without having to pay the capital gains tax? We are not all so fortunate to have relatives that gift us so much in stocks but it is still a question that I get every now and then so I wanted to address what to do with individual stocks in your taxable account, the pros and cons of selling them vs keeping them as a legacy holding in your portfolio. This episode is sponsored by Bob Bhayani at Doctor Disability Quotes.com . They are a truly independent provider of disability insurance planning solutions to the medical community nation wide. Bob specializes in working with residents and fellows early in their careers to set up sound financial and insurance strategies. Contact Bob today by email at info@drdisabilityquotes.com or by calling 973-771-9100. In this episode I speak with a young periodontist about his finances. He is doing great, having already paid off all his student loans relatively quickly. But like many of the WCI listeners and readers he started out with a financial advisor that tried to sell him insurance that wasn't right for him and he is in the process of moving on from that financial advisor. He is saving for a house down payment, upgrading a beater car from dental school, saving to buy a practice, and of course, saving for retirement. Lots of competing uses for his money. He has all the same challenges his young physician counterpart has and there is something for most to learn in this episode. I was asked for some good strategies for investing in bonds in a rising interest rate environment. This episode I discuss short term, money market funds, inflation adjusted, and stable value funds. But don’t extrapolate the past into the future. Interest rates may go up, down, or stay flat. I don't have a working crystal ball. So I prefer a fixed asset allocation strategy. This episode is sponsored by Splash Financial, a leader in student loan refinancing for doctors. Consolidate and refinance your federal and private student loans to save money and simplify your life. No application or origination fees and no prepayment penalties. Splash has new rates as low as 3.75% fixed APR which can save doctors tens of thousands of dollars over the life of their loans. Plus, WCI readers receive a $500 welcome bonus for refinancing with Splash. You can even use their loan assessment tool to compare government repayment options against refinancing. Visit whitecoatinvestor.com/splashfinancial to learn more and to check your rate in minutes. Dr. Jason Mizell has been teaching a personal finance and investing course at his academic institution for medical students and residents for several years. It is inspiring to see what he has created and the difference he is making in the lives of these trainees. This episode is sponsored by Adam Grossman of Mayport Wealth Management. Adam is a Boston-based advisor and works with physicians across the country. Unlike most other advisors, Adam offers straightforward flat fees for both standalone financial planning and investment management. Whatever stage you're at in your career, Adam can help you get organized with a personalized financial plan and can help you implement it with a low-cost index fund portfolio. Adam is a Chartered Financial Analyst and received his MBA from MIT, but more importantly, you'll benefit from Adam's own personal experience with many of the same financial obstacles and opportunities that face physicians. To learn more, visit Adam's website mayport.com/whitecoat to download a free e-book especially for physicians. One listener felt a lot of my podcasts are geared toward the younger physician. She really wanted to know more about investing as she nears retirement. She had questions like is a portfolio 100% in index funds appropriate for a retiree? What about alternative strategies - bond ladders, dividend paying stocks, using options as an insurance policy, and those types of things. A common misconception is that someone nearing retirement should do something dramatically different than a 25 year old. Bear in mind a typical 55 year old still has a 30 year investing career. The right investments for a 55 year old are exactly the same as the ones for a 25 year old. But perhaps the mix will be a little different. Ever wondered what is was like to practice medicine in the UK? It is fascinating to see the differences in medicine and physicians' finances between the States and those practicing in England. Dr. Ramskill walks us through the training, practicing, and finances of British physicians. This episode is choke full of listener questions from should you get a retirement plan for your employees to revocable trusts to the age old questions of why bonds and investing vs paying off debt. This episode I interview an academic doctor about her finances. She is in the process of firing her financial advisor and becoming a do-it-yourselfer. We talk about what accounts she has, asset allocation, 529s, dealing with capitol gains in her taxable accounts, and more. If you have ever thought of becoming a do-it-yourselfer this episode is for you. It isn't that hard and we will help you successfully manage your finances. A cash balance plan is a type of defined benefit plan (pension) that acts like a defined contribution plan (401K). When private companies were trying to get rid of their expensive pension plans, many of them converted their pension plans into cash balance plans, since they cost the company less. Employees didn’t like this, as their benefits were often lower, but it does provide an option for a physician or similar professional to shelter some more money from Uncle Sam. In this episode we discuss how they work. Investing in online businesses is a relatively new asset class for most investors. But can be a great place to invest some of your portfolio. If you ever wondered how do you invest in websites this episode is for you. Gregory Elfrink from Empire Flippers walks us through the process of buying an online business and gives us the ins and outs of this asset class. This episode is sponsored by our friends at Zoe Financial. Finding a reputable financial advisor can be difficult. And even more difficult, is finding an advisor you personally connect with, that also specializes in the areas where you need help like taxes, diversifying investments, or just budgeting. That’s where Zoefin.com comes in. They have developed an algorithm that matches you with with an advisor based on your unique life stage & goals. All of the advisors in Zoe’s network are independent, accredited, fee only fiduciaries - amazingly this means that Zoe rejects 95% of the advisors they interview, so you don’t have to waste time with sales people. Visit Zoefin.com/whitecoat to take their quiz and schedule your free call today. Is there such thing as good debt and bad debt? Is it good to carry some form of debt for your credit score? Is buying things on a credit card and then paying it off each month accumulating good debt/credit? Listen to this episode if you have ever had questions like that. But I will give you a hint. Debt is debt. And it costs you money. Doc G of DiverseFI.com shares with us how he increased his primary care income to almost 7 figures. I have always been impressed that the intraspecialty income differences are so dramatic compared to the interspecialty income differences. Even if you are in one of the lower paying specialties, there are things you can do to increase your income. It has been ten years since the Public Service Loan Forgiveness Program was created. The first people are up for loan forgiveness. So what happened? Did they get loan forgiveness? How will this affect your quest for loan forgiveness? Listen to this episode and all your questions will be answered and your fears calmed. This episode is sponsored by Splash Financial, a leader in student loan refinancing for doctors. Consolidate and refinance your federal and private student loans to save money and simplify your life. No application or origination fees and no prepayment penalties. Splash has new rates as low as 3.5% fixed APR which can save doctors tens of thousands of dollars over the life of their loans. Plus, WCI readers receive a $500 welcome bonus for refinancing with Splash. You can even use their loan assessment tool to compare government repayment options against refinancing. Visit whitecoatinvestor.com/splashfinancial to learn more and to check your rate in minutes. Why should you invest in bonds at all? Especially if you are young or fresh out of training and could tolerate any changes in the stock market? I address this question and more in today's episode. In this episode I talk with Nii Darko from Docs Outside the Box. Docs Outside the Box podcast brings stories of ordinary doctors doing extraordinary things to inspire other docs to think outside the box. We discuss some of these stories but also delve into his finances and how he and his wife paid off $600,000+ in student loan debt and are building the life they want. Did you know the average professional saves over $20,000 when refinancing with Laurel Road? Laurel Road has helped thousands of professionals with graduate and undergraduate degrees across the country refinance federal and private school loans – over $3 billion to date. In addition to offering a $300 bonus for WCI readers who refinance student loans with Laurel Road, those in residency or fellowship can pay $100 per month throughout and up to 6 months after training. For more information and to submit an application, simply visit www.laurelroad.com/wcipc. L-A-U-R-E-L-R-O-A-D dot com, slash W-C-I-P-C. Laurel Road is a Division of Darian Rowayton Bank, FDIC insured and established in 2006, and is an equal opportunity lender. In this episode I discuss all the things I don't invest in like precious metals, individual stocks, actively managed mutual funds, currencies, bitcoin, start-ups/angel investing, commodities, options, or insurance. I interview Carrie Reynolds today from The Hippocratic Hustle Podcast. She developed The Hippocratic Hustle Podcast to create a space where women doctors can come together and share their stories of their business, project or side-hustle, to explore ways to stretch your hard earned dollars and be more efficient with your time and money. If you found this podcast useful, visit our blog at http://whitecoatinvestor.com/ for more personal finance and investing information. Find an engaging and helpful community in our forum at http://whitecoatinvestor.com/forums/ This episode is sponsored by Adam Grossman of Mayport Wealth Management. Adam is a Boston-based advisor and works with physicians across the country. Unlike most other advisors, Adam offers straightforward flat fees for both standalone financial planning and investment management. Whatever stage you're at in your career, Adam can help you get organized with a personalized financial plan and can help you implement it with a low-cost index fund portfolio. Adam is a Chartered Financial Analyst and received his MBA from MIT, but more importantly, you'll benefit from Adam's own personal experience with many of the same financial obstacles and opportunities that face physicians. To learn more, visit Adam's website mayport.com/whitecoat to download a free e-book especially for physicians. Your three favorite physician finance bloggers all in one podcast! WCI, PIMD, and PoF answer listener questions in this episode ranging from how they prefer their chicken wings to how to help your colleagues learn to manage their money better. They discuss REITs vs buying rental property, getting on the same financial page with your spouse, and whether they would encourage their children to go into medicine. Plus lots more questions. You will find it informative and entertaining. Today's podcast is sponsored by Nomad Health. Nomad is a fast, easy, online way to find great doctor and nurse jobs. Looking for a freelance locums gig? Come to Nomad! Looking for a new full time job? Come to Nomad! Looking for a travel nursing job? Come to Nomad! And best of all, there are no brokers. It's all online, self-service, and totally transparent. No more phone calls and spam emails from agency recruiters. You can check out Nomad at nomadhealth.com. This episode is sponsored by Set for Life Insurance. Set for Life Insurance was founded by President, Jamie K. Fleischner, CLU, ChFC, LUTCF in 1993 which she started while attending Washington University in St. Louis. They specialize in individual term life, disability and long term care insurance. They work on the client’s behalf to shop around to find the most suitable products at the most cost effective rate. Set for Life is first and foremost a client-centric company. They listen carefully to the needs of clients and shop around to find the best products available at the best rate. Because of the volume and exceptional reputation of Set for Life Insurance as well as the relationships they have developed over the years, Set for Life clients have access to special services not available elsewhere in the industry. This includes special discounts, gender neutral policies (saving women significantly), priority underwriting handling and on some occasions exceptions in the underwriting process. For more information, visit www.setforlifeinsurance.com. Do you take inflation into consideration when you create your "retirement day financial goal"? This and more listener questions about military medicine, paying AUM fees, buying health insurance, and student loan management are addressed in this episode. Dr. Dahle and Vagabond MD, an active participant in the WCI forum, providing many readers with needed financial information, discuss what he teaches new doctors about personal finance and investing, what mistakes he sees his peers making, and whether he thinks becoming a doctor is still worth it or at what level of debt should they change their minds, if any. This episode is sponsored by PracticeLink. Did you know PracticeLink, the #1 online physician job board, helps you find the right opportunity in the right community, AND it's 100% free? Join PracticeLink today to browse physician and advanced practitioner opportunities across town or across the country. Create a profile to make yourself visible to physician recruiters looking for you. Visit info.PracticeLink.com/WCI to learn about all the free career resources available. That’s I N F O dot PracticeLink dot com slash WCI. Dr. Dahle and Dr. Gray discuss relevant premed topics in this episode to help those thinking medical school is for them to receive the information they need. Dr. Gray desire is to guide medical school applicants through the admissions process and simplify the process. In this episode Dr. Dahle talks about Dr. Mike Meru and his student loan balance of over $1 million dollars. Is he crazy? Or crazy like a fox? Listen to get Dr. Dahle's take on the situation and how best to manage large student loan debts. Dr. Dahle interviews Sarah Catherine Gutierrez from Aptus Financial in this episode. They talked about how she got into the financial advising world, the mistakes she sees doctors making in their financial plan, even the DIY guys, and where she sees the financial advising business going in the future. They discuss the different ways that advisors are paid and the conflicts of interests with each type. Dr. Dahle answers listeners' questions in this episode about disability insurance, lending money to family, student loan management, backdoor Roth IRAs, mortgage rates, and whole life insurance. If you have questions make sure you send them to him. In this episode Dr. Dahle interviews Mike Piper, CPA, who gave the two highest ranked talks at the entire WCI conference in March. In this episode they discuss the new 199A deduction for physicians, when to take social security, the LLC vs S Corp vs C Corp decision,and frequent tax issues that high income professionals face. Bonus Episode! On March 1-3, 2018, 300 physicians, dentists, and other high income professionals met in Park City, Utah for the first-ever Physician Wellness and Financial Literacy Conference. It was a wonderful time with receptions, informal dinners, and skiing, but it also included 12 hours of lectures, a panel of physician financial bloggers, and a book signing event. Get the online version of The White Coat Investor Conference in Park City today. Sometimes investing hobbyists like myself, especially after a decade or more of investing, assume everybody knows the basics of investing. Occasionally, I am starkly reminded that is not the case. Today, I’d like to just go on record about what I think everyone should have learned in Investing 101. Learn it from me or learn it in the school of hard knocks, but you will learn it. There is a new deduction for pass-through businesses such as sole proprietorships, LLCs, and S corporations. However, this deduction is specifically limited for physicians and similar professionals who have a taxable income of more than $157,500 ($315,000 if married). This episode we talk about the Tax Cut and Jobs Act pass through deduction as well as answer a whole bunch of questions from readers. Find an engaging and helpful community in our forum at http://whitecoatinvestor.com/forums/ This episode is sponsored by DI4MDS - Disability Insurance Specialists. Recognizing physicians value time and independence, D.K. Unger has developed tools that streamline the process of reviewing and implementing life and disability insurance. One of the new tools is a unique, instantaneous, term life quote and comparison software that requires no identifying information. Compare your rates from the top companies in 60 seconds by going to termlifeguide.com/home/di4mds. In this episode I interview Lara McElderry from the Married to Doctors podcast. Some might find that being married to a doctor isn’t as glamorous as society assumes. Having a physician spouse and having a strong relationship can be difficult. It is common to feel resentment, friction, and stress in your relationship despite how much you love each other. Lara's mission statement is simple, "Making Successful Homes Happier." We talk about how to do that in this episode. I would like to say “don’t ever buy whole life insurance” and leave it at that but that just isn't the case. In this episode we revisit whole life insurance and discuss some situations in which you may want to buy or keep the policy you were already sold. In this episode I interview Paul Merriman. He is best known for his work, a large percentage of which is done on a volunteer basis, educating the individual investor. I told him when we were lining this up that he was a controversial figure in the Bogleheads community, not only for his advocacy of a tilted portfolio, but also the trend following bit, so we focus heavily on that today. This episode is full of listeners' and readers' questions. Dr. Dahle talks about lifetime limits on retirement accounts and 529 plans, Backdoor Roth IRAs, SEP IRAs, saving for short term large purchases, and a cautionary tale about student loan debt and why you should make a plan early concerning how you will deal with it. In this episode Dr. Dahle answers listeners' questions about staying the course with your investing, stock purchase plans, and TSP Loans. This episode is sponsored by Set for Life Insurance. Set for Life Insurance was founded by President, Jamie K. Fleischner, CLU, ChFC, LUTCF in 1993 which she started while attending Washington University in St. Louis. They specialize in individual term life, disability and long term care insurance. They work on the client’s behalf to shop around to find the most suitable products at the most cost effective rate. Set for Life is first and foremost a client-centric company. They listen carefully to the needs of clients and shop around to find the best products available at the best rate. Because of the volume and exceptional reputation of Set for Life Insurance as well as the relationships they have developed over the years, Set for Life clients have access to special services not available elsewhere in the industry. This includes special discounts, gender neutral policies (saving women significantly), priority underwriting handling and on some occasions exceptions in the underwriting process. For more information, visit www.setforlifeinsurance.com. WCI interviews The Happy Philosopher in this episode discussing physician burnout and what can be done about it. This episode is sponsored by Larry Keller, CFP, CLU, ChFC, RHU, LUTCF at Physician Financial Services. Larry is well-known to long-term blog readers from the nearly dozen guest posts he has submitted over the years. He has also worked with literally hundreds of WCI readers to get term life and disability insurance coverage in place. I’ve received tons of favorable feedback and absolutely zero negative feedback about Larry over the years. If you are in need of term life or disability insurance contact Larry at 516-677-6211 or LKeller@physicianfinancialservices.com. I am continually fascinated by the burning desire among graduating medical students and even residents, and particularly their spouses, to purchase a home as soon as is humanly possible despite having a net worth of a negative $200,000 or $300,000. I try to talk them out of it but I know many will do it anyway. I'm often asked for referrals for realtors that work frequently with physicians. I want you to buy the right house at the right time. This episode introduces a new WCI partner, Curbside Real Estate, that can help you buy your home when the time is right. This episode is sponsored by CurbsideRealEstate.com, a free real estate concierge service for physicians, by physicians. After struggling through his first home purchase, Dr. Peter Kim founded Curbside Real Estate to address physician-specific issues encountered during the home buying process. In addition to providing news and information, CurbsideRealEstate.com is your physician-led “curbside consult” for physician home loans, expert real estate agents, relocation, and everything in between. Whether you’re securing your first home loan, just beginning your home search, or you’re not sure where to start, CurbsideRealEstate.com can help you navigate the home buying process confidently and efficiently, saving you valuable time and money. Exclusive bonus for White Coat Investor readers: $100 bonus at closing. There are complicated aspects of 401(k)s. Many of these are discussed in this episode as we answer listeners' questions about their 401(k)s.
WCI and Dr. Steinberg discuss merger arbitrage. Now, this is a technique that hedge fund managers have done for some time, with varying amounts of success. Dr. Steinberg shares his experience with us. Critics say merger arbitrage has a limited upside and a huge downside. Listen to learn more. In this episode I discuss the concept of buying one property a year as a path to wealth and financial independence. Remember this isn’t required for a high income professional. But it is an alternate path and quite likely a little faster, but more risky, path to financial independence. In the medical world, it is routine to get a second opinion. The more serious the condition, the more likely a patient will seek a second opinion. Most doctors take no offense to this, nor should they. However, in the world of financial advisors, a second opinion is rare and some advisors are personally offended by it. It shouldn’t be any big deal to have one of your clients go pay for an hour or two of someone’s time to make sure you’re not doing anything too crazy with their money. Of course, I understand why it is a big deal since most clients that go for a second opinion never come back because most “advisors” aren’t giving good advice. If you’ve never had a second opinion, I highly recommend it and will discuss ways to get that second opinion on your financial plan. This episode is sponsored by Firstmetric, a low-cost investment advisory firm that provides investment planning and portfolio management services using index funds from Vanguard and Dimensional Fund Advisors; among others. Scott Salaske is the CEO of Firstmetric and host of the Seeking Wealth podcast. He has 20 years of experience helping physicians and other professionals make the switch to an indexing investment philosophy. To learn more about how Firstmetric can help you lower your investment fees and start using index funds visit their website at www.firstmetric.com. Physician on Fire and WCI discuss his transition to part time work, his safe withdrawal rate, and slow traveling with his family. They also answer many listeners' questions. Dr. Dahle answers listeners' questions in this episode. He covers questions about SERPs, the new tax law, inherited IRAs, and gifts. This episode is sponsored by ProAssurance professional liability insurance for doctors. Their numbers show they close more medical malpractice claims without indemnity payouts. ProAssurance also spends more on defense and less on settlements. You can get the facts about medical liability insurance and strong defense at ProAssurance.com. In this episode Dr. Dahle answers listeners' questions about bitcoin, prenups, and whether you should be investing or paying off debt. This episode is an introduction to the new WCI course, Fire Your Financial Advisor! Over the years that I’ve been helping doctors and other high income professionals stop doing dumb stuff with their money, I’ve learned that most of them aren’t hobbyists. They don’t find personal finance and investing all that interesting. In fact, if given the choice, they’d rather not do it at all. Ideally, they would hire a “money guy (or gal)" who would take care of all this for them for a reasonable price. Does that describe you? If so, this course is for you. No more wading through dozens of books at the library, scrolling through hundreds of blog posts on dozens of blogs, or checking in daily with online forums trying to gain a financial education the way the hobbyists do. For 1/10th the price and half the time of hiring a professional financial planner, this course will take you from feeling anxious and having no plan to having a written financial plan you can follow the rest of your investing career as a professional and a retiree. This course is the material that should have been taught to you in college, medical school, or residency but never was. This podcast is sponsored by SoFi, one of the world leaders in student loan refinancing. Do you know how easy it is to start saving money on your student loans by refinancing? SoFi offers a free online application to refinance. As the leading student loan refinancing provider in the country, they’ve already helped over ten thousand doctors save $46,086 on average on their student loans. They can help you too. There’s no obligation and no fees to apply. Take two minutes to see your new low student loan interest rate on SoFi and you could save tens of thousands of dollars on your student loans. As a member of the WCI community you’ll get $300 towards your student loan when you apply to refinance with SoFi. Now medical residents can refinance their student loans with SoFi too and pay just $100 a month during their training. Dr. Dahle and Dr. Minnick answer readers' questions in this episode. From the debate over DO vs MD to where is the best place to open your solo 401k to should you invest in your medical partner's side business. You will enjoy this interview between two physicians who are dedicated to helping their colleagues become financially literate. Did you know the average professional saves over $20,000 when refinancing with Laurel Road? Laurel Road has helped thousands of professionals with graduate and undergraduate degrees across the country refinance federal and private school loans – over $3 billion to date. In addition to offering a $300 bonus for WCI readers who refinance student loans with Laurel Road, those in residency or fellowship can pay $100 per month throughout and up to 6 months after training. For more information and to submit an application, simply visit www.laurelroad.com/wcipc. L-A-U-R-E-L-R-O-A-D dot com, slash W-C-I-P-C. This show is an interview with Jordan Goodman, “America’s Money Answers Man” and a "nationally-recognized expert" on personal finance. We discuss hard money loans, mortgage acceleration, investing in life settlements, and bitcoin. There is now a lengthy discussion at the end that I added in December 2018 where I mention some of the things in the podcast that I think Mr. Goodman got wrong as well as some of the conflicts of interest that weren't mentioned by him in the podcast. So make sure you listen to the end. This episode is sponsored by ProAssurance, professional liability insurance for doctors. They understand the risks involved in the practice of medicine. Your reputation is at stake, and even the best doctors face malpractice allegations. Count on ProAssurance for superior defense against claims—it’s part of their commitment to treat you fairly. ProAssurance is rated A+ Superior by A.M. Best. Learn what it means to be treated fairly at ProAssurance.com. Dr. Dahle answers questions from medical students on the show today. He will cover how to get on the same page financially with your partner. He discusses how to prioritize paying off debt, investing, and buying a home. The question about socially responsible investing and whether we should be doing it is addressed as well as the backdoor Roth IRA that every doctor should know about. We have a special guest in this episode, Passive Income M.D. He's the newest addition to the White Coat Investor Network, which is a network of physician and other high income professional focused blogs that are trying to get this information into your hands so you can find the financial success you deserve. We want you to live the life that you want, practice how you want, have the time to spend with your loved ones, and not worry about money. Things are constantly changing in medicine. And let's be honest it's almost never better for the physician. One of the best ways to combat burnout is really by relieving yourself of the financial pressure from medicine itself and that comes from having multiple sources of income. And the more passive the better. Passive Income MD shares some of his forms of passive income in this episode and discusses how others can open up these streams of revenue for themselves. This episode is sponsored by Adam Grossman of Mayport Wealth Management. Adam is a Boston-based advisor and works with physicians across the country. Unlike most other advisors, Adam offers straightforward flat fees for both standalone financial planning and investment management. Whatever stage you're at in your career, Adam can help you get organized with a personalized financial plan and can help you implement it with a low-cost index fund portfolio. Adam is a Chartered Financial Analyst and received his MBA from MIT, but more importantly, you'll benefit from Adam's own personal experience with many of the same financial obstacles and opportunities that face physicians. To learn more, visit Adam's website to download a free e-book especially for physicians. Our guest on this episode is Dr. Kenyon Meadows, a radiation oncologist who practices in Georgia. He recently wrote a book called Alternative Financial Medicine: High Yield Investments in a Low Yield World. In the book he discusses his ongoing experiences investing in stuff that isn’t stock and bond index funds. Now regular listeners know that I also invest in “alternatives,” although only about 15% of my portfolio is invested in something besides index funds. So far it has been a pretty good experience. In this episode we get into both Dr. Meadow’s alternative investments and my own. This podcast is sponsored by Fundrise. Fundrise gives investors access to the exclusive benefits of private market real estate through a simple, online platform. That means, with Fundrise, you can invest in premium private real estate assets and earn up to 33% higher expected annual returns than those expected of traditional stocks and bonds. Experience all the benefits of the private market, plus the transparency of an online service and none of the hidden costs or mediocre returns inherent in the public market. You can get started today with an investment tailored to your portfolio goals, ranging from supplemental income to long-term growth. With Fundrise, anyone can finally invest in real estate like a billion dollar institution. To learn more, visit Fundrise.com/whitecoat. Our topic on the podcast today is how to invest at all time highs. This is a question I've been hearing a lot lately both in person, via e-mail, and in comments. But in reality I view it as an investing teenager question. It is not an investing child question because when you're just getting started as an investor, you don't even worry about stuff like this because you don't know it is a problem. You don't really know where the market is at. It's only as you start learning a little bit about investing that you start worrying about things like this. And then as you become an investing adult you realize that worrying about this doesn't do you any good. And so you stop. But in that transitionary period, it is a big concern for a lot of people. So we're going to talk about what to do when the market is at an all time high. This episode is sponsored by Proassurance, professional liability insurance for doctors. Their numbers show they close more medical malpractice claims without indemnity payouts. Proassurance also spends more on defense and less on settlements. You can get the facts about medical liability insurance and strong defense at Proassurance.com. We are talking about taxes today and specifically about the tax bills bouncing around in Congress. Now obviously these are a work in progress. And it is important to look at it from two perspectives- one what is good tax policy and two whether or not it is actually good for me and you. Listen to this podcast to learn what changes are on the new tax reform bill and how it will affect you. We spend a lot of our time talking about and worrying about the minutia compared to the big things you should be worried about. Realize that there are somethings that matter far more than other things. In this episode, Dr. Dahle talks about those things that matter most. This episode is sponsored by Sofi. Hundreds of WCI readers have refinanced their student loans with SoFi over the last 1-2 years saving literally millions of dollars in interest. If you apply via this link, http://www.sofi.com/whitecoat you’ll get paid $300. If you’re smart, you’ll just have them apply that to your loan balance. When to Buy a Home. There are lots of great reasons to own your own home, including the fact that you can have as many pets as you like, you can paint the walls whatever color you prefer, and the landlord can never throw you out on the street. Financially speaking, there are many significant benefits of owning a home. However, there are time periods in life when owning your home is a not such a great financial move. In this podcast Dr. Dahle discusses when it is a good time to buy a home. This episode was sponsored by WCI Student Loan Refinancing Page. Perhaps the worst part about being a high-income professional is beginning your career with a massive debt burden hanging over your head. Eliminating your educational debt at the beginning of your career will increase your happiness and speed your way to financial freedom, allowing you to take advantage of future opportunities, both professional and personal. En route to debt elimination, most professionals should take advantage of the ability to refinance your debt with a private company. Go to the WCI Student Loan Refinancing Page where WCI has negotiated a special deal with each of these companies, so when you refinance with them, they pay you $100-1000. This episode is sponsored by Earnest, an online lender that helps doctors refinance their student loans. Their M.D. clients save an average of $48,223. That’s a few hundred extra dollars each month to start putting in savings or help pay other bills. They’re also offering a $300 signing bonus to podcast listeners if you apply through earnest.com/whitecoat. Apply online today and get expert support every step of the way at earnest.com/whitecoat. An Interview with Miss Bonnie MD. Listen to this interview between the WCI and Miss Bonnie MD, who is helping women find financial clarity through per blog and podcast. They discuss issues that female physicians face financially, attending expensive medical schools, practicing medicine in a high cost of living area and much more. Nuts and Bolts of Financial Planning. Listen to this Q&A between Dr. Dahle and a fellow listener to find the answers to many of your financial planning questions. This episode is sponsored by LendingHome, an online lender for home mortgage and hard money borrowers. Accredited investors have seen over $890 million in returns with 7,300 loans, backed by real assets, issued to date. Earn up to $2,500 when you invest your IRA into LendingHome’s Investor Platform while diversifying your portfolio at the same time. Learn more today at Lendinghome.com/WCI or by calling 1-844-415-4663. Tax Diversification means not having all of your assets subject to the same tax effects, particularly during the withdrawal phase in retirement. Proponents of this concept argue you should have some tax-free money, some tax-deferred money, and some taxable money. This not only provides against against the possibility of severe changes in tax brackets, but also allows you to control your tax bill to a certain extent in retirement. Listen to this podcast to learn more. Comparing Independent Contractor Jobs with Employee Jobs. Because of the volume and exceptional reputation of Set for Life Insurance as well as the relationships they have developed over the years, Set for Life clients have access to special services not available elsewhere in the industry. This includes special discounts, gender neutral policies (saving women significantly), priority underwriting handling and on some occasions exceptions in the underwriting process. What is the purpose of an emergency fund? How should you invest it? This podcast tells everything you ever wanted to know about emergency funds in general and WCI's emergency fund in particular. This episode is sponsored by EquityMultiple. Commercial Real Estate Investing shouldn't be difficult. EquityMultiple is making it easier for accredited investors to invest in commercial opportunities that are vetted by seasoned real estate professionals. For as little as $5,000, you can now invest alongside experienced real estate companies across the country - they handle all the difficulties of management and you enjoy the benefits of partial ownership. Start creating your own diversified real estate portfolio today. Securities offered through Growth Capital Services (member FINRA, SIPC). Investment results vary and all investments involve risk. Understanding Tax Deductions and Credits. If you've ever wondered what the difference between tax deductions and tax credits is and desired to lower your tax bill, this is the podcast episode for you. Fixed versus Variable Rates-- Which is Better for Your Mortgage or Student Loan Refinance? There is a natural hesitancy to having a variable rate loan, because it creates uncertainty in the future. However, it is still often the correct choice in many situations. The real question is not “variable vs. fixed” but rather “variable vs. variable plus an insurance policy.” Listen to the podcast to help you make this important decision. Today's podcast is sponsored by Credible, a marketplace for student loan refinancing. In less than 2 minutes, Credible allows you to compare personalized offers from up to 7 vetted lenders. It's absolutely free to use and requires no hard credit check -- what have you got to lose? 90 seconds is all it takes to see how much you can save. Plus, White Coat readers will receive $350 when they refinance through credible.com/whitecoat. That's credible.com/whitecoat. Investing in Taxable Accounts -- What You Need to Know. Ever wondered what you should do when you've maxed out your 401K, backdoor Roth IRA, and HSA but still want to save more? Dr. Dahle discusses the advantages to taxable accounts and what you need to know as you invest in them. Dr. Dahle get lots of questions from readers about whether or not they should take advantage of their new Roth 401K (or 403B) option or keep contributing to a traditional 401K. They’re usually looking for an easy, straightforward answer. Unfortunately, it isn’t that easy. In this podcast Dr. Dahle discusses the important things you should be considering as you make this decision. Great couples function as one unit. It’s not my money or your money, it’s our money. In this podcast Dr. WCI and Mrs WCI discuss how they have worked together to build financial success. An important mission of the WCI is to connect doctors in need of assistance with financial planning and investment management with the good guys in the financial services industry. These advisors offer good advice at a fair price on a fee only basis. Check it out today under the recommendations tab on the website. In this podcast Dr. Dahle gives ideas for creating passive income, explains some tax implications, and shares recommendations for entrepreneurship. He also answers listeners questions concerning whether or not to avoid the fees on your HSA by keeping money in the account or to invest it all, Roth IRAs for a non-working spouse, and debt negotiation versus bankruptcy with some solid advice for getting out of debt. Backdoor Roth IRAs and Why You Should Be Funding Them. If you have no idea what a Backdoor Roth IRA is, listen to this podcast. Seriously. You need to know what it is. Most physicians should be using a personal and spousal Backdoor Roth IRA. Not only does this provide an additional $5,500 each ($6,500 each if you and your spouse are over 50) of tax-protected and (in most states) asset protected space, but it allows for more tax diversification in retirement. That allows you to determine your own tax rate as a retiree by deciding how much to take from tax-deferred accounts and how much from Roth accounts. In this episode Dr. Dahle also answers listeners' questions about using a physician mortgage loan and prioritizing a mortgage versus paying off debt. Disability Insurance for High Income Earners: Understand these critical steps to purchasing disability insurance. A medical resident’s most valuable financial asset is his future earnings ability, which is at serious risk of loss due to a personal disability. Dr Dahle outlines critical steps to purchasing disability insurance correctly in this podcast. Disability insurance is FAR more complicated than term life insurance, and while it may not require a ton of time to understand and purchase a policy, it will require more self-education and a lot more decisions to be made. This episode will further your education and walk you through some of those decisions. Dr. Dahle also answers questions from readers about when is the cheapest time to buy disability insurance and whether or not you should borrow money to buy disability and life insurance during residency. Paying Down Student Loans Versus Investing -- What Should You Do? Ahhhhh….you’ve finally made it. 4 years in college, 4 years in medical school, 3-5 more in residency, and 1-3 more in fellowship and you’re finally making the big bucks. You’ve just started getting your first 5 figure paychecks and you feel like you have some money that you don’t need to spend on this month’s necessities. You’ve got a couple hundred thousand dollars worth of student loans hanging over your head, a big mortgage, and even a little bit of credit card debt. But you’re also looking at a huge tax bill, and besides, you don’t want to work forever, so you’ve been studying up on 401Ks and IRAs. How do you decide when to pay down loans and when to invest? Dr. Dahle will walk you through all the factors that go into this decision and give you some recommendations and a list of financial priorities. He also answers readers' questions about tax loss harvesting and emergency funds. This episode is sponsored by DrDisabilityQuotes.com . Bob Bhayani, MBA is managing partner for a truly independent provider of disability insurance planning solutions to the medical community nationwide. Bob regularly lectures at hospitals and faculties regarding creation of income protection and risk management solutions. Bob has specialized in working with residents and fellows early in their careers to set up sound financial and insurance strategies. Bob has leveraged his decades worth of relationships with top insurance companies to deliver discounts to all eligible applicants. DrDisabilityQuotes.com is an interactive website where physicians are able to gain a wealth of knowledge regarding disability insurance and also run instant life insurance comparison quotes from various companies. For your insurance needs contact Bob at info@drdisabilityquotes.com or 973-771-9100. Dr. Dahle teaches you everything you need to know about a Health Savings Account. An HSA can help cover health care costs and serve as a triple-tax-free, stealth IRA investment plan. Wondering if you should open one? Want to know the best way to spend your HSA money? Listen to this podcast for the answers. He also answers readers' questions about big financial advising firms versus small ones, commission salesmen versus actual financial advisors, and options for lowering your tax bill.